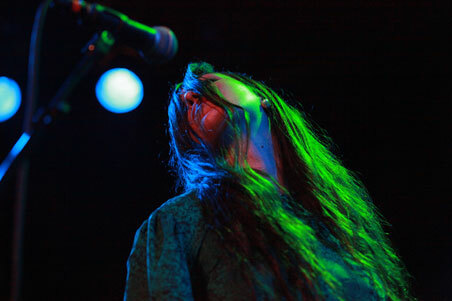 Cults performed material from their recently BNM’ed self-titled debut at Brooklyn’s Music Hall of Williamsburg last night, and our photographer Alexander Stein was there. Check out a selection of shots after the jump, then head over to our photo book for more full-size snaps. And don’t forget to stop by our Facebook page for even more photos. Posted by Pitchfork on June 10, 2011 at 9:40 a.m.